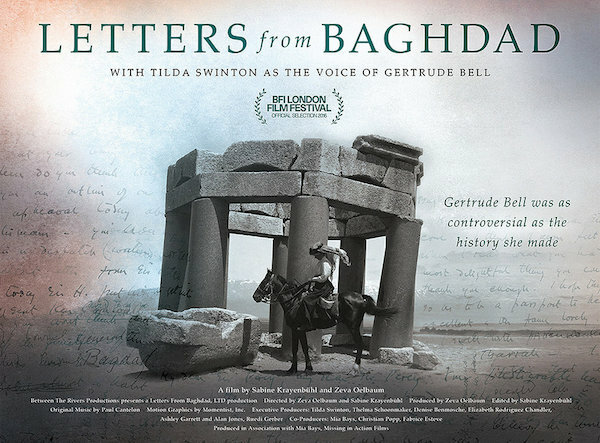 The extraordinary Gertrude Bell was an English writer, linguist, archaeologist, diplomat and spy, with an unmatched first-hand knowledge of late 19th and early 20th century Arabia. This fascinating documentary reveals her power and the crucial role she played in forming British policy in what is now Iraq. The film is based on Bell’s letters – voiced by Tilda Swinton – presented via a combination of high-quality original footage and familiar actors representing key characters. This unmissable personal and professional story provides an acute, revealing and sometimes chilling foretaste of current Middle Eastern troubles. Here are links to a Review from The Guardian and a brief description of the making of the film from the production company.